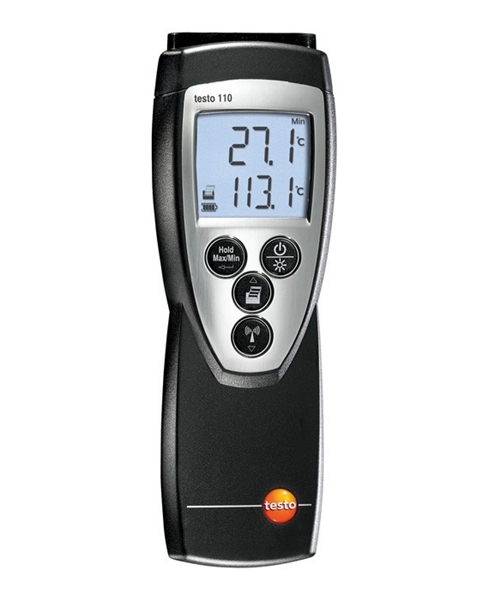 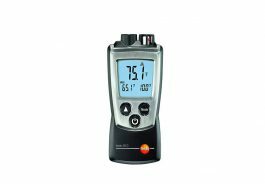 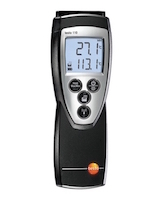 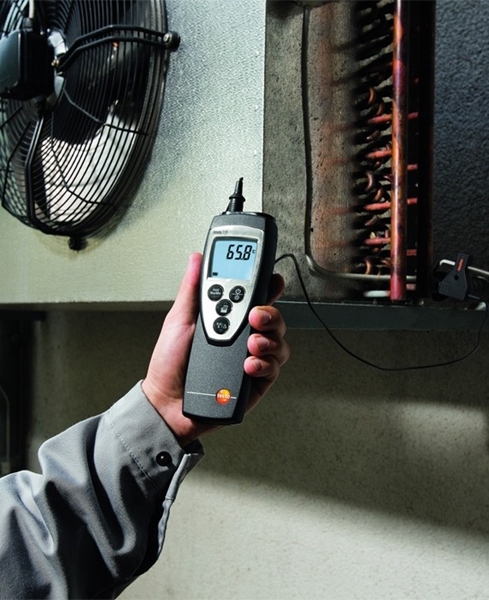 The highly accurate, versatile testo 110 temperature measuring instrument is ideal for applications in rough conditions on account of its protective case, TopSafe. 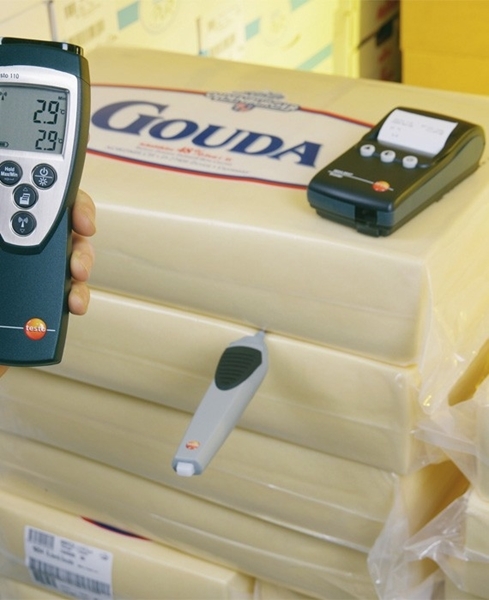 The engineering used is specially designed for measurements in refrigerated store rooms, cabinets and for outdoors. 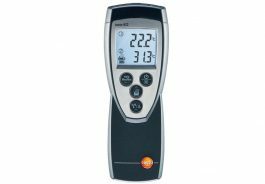 Minimum and maximum values are shown on a clear 2 line, backlit display or, if required, are printed on site on a Testo printer. 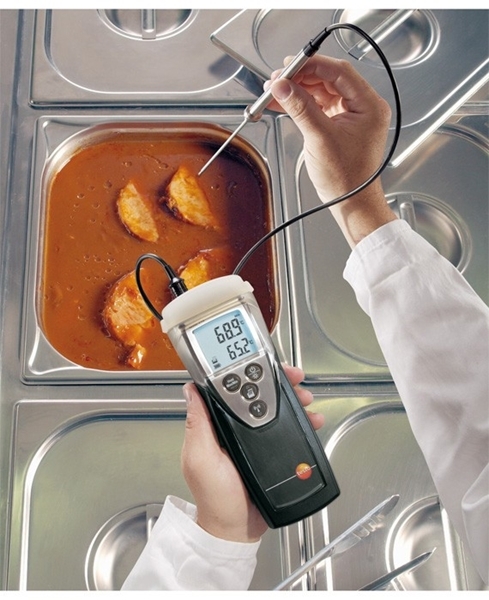 In addition to the wide range of standard handheld probes available (optional), a wireless radio probe can be used simultaneously.